Back in February 2015, I was overtaken by school holidays: My French collaborators have been well prepared and prepared their vacation ahead of time. I didn’t want to be the lonely guy in the office and decided spontaneously to leave as well: to Romania! Why Romania? I used Kayak Explore to find cheap flights from Lyon, Saint-Etienne and Geneva. Porto would have been an option and surprisingly Bucharest even though its quite far away. Both countries I have never been to. A friend of mine from Bucharest was very enthusiastic about my intentions and rescheduled his week and took care for my accommodation. A week later, I arrived at Bucharest Otopeni Intl. Airport. I decided to take the bus to go down-town Bucharest. In the bus I met a father with his daughter that has worked for the German cruise company AIDA. Both are fluent in English. Also when I missed to get out of the bus, I could ask locals in English without any issues – and not only the young (Erasmus) generation. I got a place to stay at a friend of a friend’s place. He was living in a flat share close to metro station Obor. When I arrived, he1 opened the door: a body builder guy with a huge, loud barking dog just behind him. No other door opened on the floor. I couldn’t believe he would be the friend’s friend, however, I entered. After a long minute, I learnt that I just met the flat mate and my host would come from work in an hour. The body builder turned out to be a professional internet poker player hired by Canadian “Investors”. I asked many questions. Short summary: The internet poker revenue is attractive enough to keep people from searching more conservative work. Unfortunately, It’s a job that’s not so much fun any more if you have to play several hours a day. The next day, I have my first city exploration walk. On the way to the Obor market, I find indicators to the next Kaufland and Hornbach close by—both well-known German companies. On the way to the market I got to see a few very old people bagging. The Obor market is indoor. The first level dedicated to fruits and vegetables reminded me on Latin American countries. Contrarily, the furniture sold in the 3rd level was quite expansive. I take some photos in the market. One of the many private security guys is approaching me. He obviously want to know what I’m doing. He don’t understand English, is notably annoyed, but don’t do anything. I decide to leave better immediately. On the way to the metro I find a German drugs store called dm. I go in and feel like in Germany. Same stuff—often with labels in German. They even have these shelves with dm bio products. In a bakery chain few doors further, I have some sort of casserole for lunch and a cherry strudel for dessert. The letter, for 2,5 Lei, about 0,50 Euro! That’s about half a Euro. Once in the metro station, I find panorama-size advertisements for the German building centre chain Praktiker that went insolvent in Germany because of its aggressive discount strategy. To make it short: Seeing during my stay so many German and French enterprises left a sour taste. German Telekom, Volksbank, Sparkasse, dpd and Allianz; French Carrefour, bp is a list yet to complete. My next destination is the Palace of the Parliament, the second largest building of the world after the US pentagon. The construction of this immense building to demonstrate Soviet prestige started in the 1980s and is not yet completed. Time has changed since then. Voices were raised to destruct the palace as it is a symbol of a totalitarian regime. Today, one part is occupied by the Romanian parliament, the other part is not used. I do the visiting tour and decide afterwards to head to the city centre. I ask the first person that seems to be a local for the way and get to known to Anna, who speaks surprisingly German very well. She invites me to join her as she would meet in the centre an old friend from Italy. Andrea has travelled quite a lot, very polite and has some stories to tell. For him, it is the beginning of his Erasmus stay. The evening we spent in a basement pub run by students. Nice. Next morning, my host and me get off late. Together, we are getting our common friend Miruna from the train station. I know her already from France. We go to her student residency in the north-west of the city - a big building with many entrances and about 7 floors. We have to pass by a guardian. I learn that man visits are often prohibited or that the guardian is even asking people he do not know for a favour, a tip. Miruna shares the room of about 25 m² with two other girls. They have their proper kitchen, a bathroom and small balcony. I also get the chance to meet one of her room mates. A girl studying pharmacy that speaks English very well and would like to do an Erasmus, but her university faculty doesn’t participate in the program at all. Furthermore, there are high university fees for students that delay their studies for some reason. The other day, Miruna invites me to make a day trip to the north of Bucharest to visit a Renaissance castle. Initially, I would have preferred to go Dracula’s castle, but I heard more than once that it is not really nice. So we take the train to Sinaia. Trains are a very comfortable and a cheap way to travel in Romania. Once arrived, we walk up the mountain. The castle is not open for visits, because we are out of season. In general, we meet only very few tourists. That’s bad for the little artesian market where people must be freezing like hell , but good for us. After the trip, we have dinner in a traditional restaurant. The food reminded on Hungarian dishes - probably the most eastern kitchen I knew so far. When I arrived in Romania, I texted a Romanian guy with whom I stayed in contact after we met when I was at a conference in Vienna. He was quite enthusiastic and proposed that I should visit his parents in Brașov and get some house-made food, and speak some French as his mother works in high school with focus on French. First, I found the idea a bit weird to visit someone’s parents, but in the end, weird ideas promise some special experience. So I wrote to his mother in French and asked if I could assist classes and explained I could also speak a bit about the EU if there would be some interest. My proposal was well received. The mother turned out to be actually the director of the school and she started an enormous afford to reschedule her day to get some time free for me. So I take the next day the train from Bucharest to Brașov. Very early. I arrive by 9 o’clock. I get picked up at the train station and get a personal breakfast from Penny (another German discounter for those who don’t know). I join different French teachers during the day and see different classes. Also on this school with French focus, the pupils language skills are very moderate, but back in time, mine were probably the same (or worse). Finally, I visit one class of pupils that are about to graduate and ask them for EU countries. Either, they are very shy or their geography knowledge is not as its best. I am surprised in any way. The afternoon, three pupils that have lived for a while in foreign countries and speak thus English very well, are asked (ordered?) to show me the city of Brașov. The city has German roots: The engravings in the Black Church, the largest eastern stronghold to defend Lutheran Christianity2, are all in German. There is also a high school with German focus, and of course, the directors know each other, but I could not get a visit. Brașov was once a flourishing industrial area, but I got the impression that it suffered a lot in the last decades, because of factories moving further to other countries (most probably towards the East). My second and last day in Brașov, my host take off from school to show me the outskirts of the city. As her car was currently in the garage, a friend of the family gets us around. First, we visit the castle of Dracula. I can confirm - it is not very impressive. Furthermore, a US family filled a law suit and got the castle for some reason. So the museum is managed by a private company that does in my humble opinion a horrible job. Afterwards, we have dinner close to an Olympic training camp. We get back while passing streets known for Gypsies, or traditional Romanians and visited also a Gypsy market. Quite impressive: the Gypsies on the market have extraordinary cars - German noble brands in black in a very good state. That is maybe a good topic to finish with: The Gypsies are since ever a huge problem and the integration poses still many difficulties. The Romanians, that are not Gypsies, have no hopes any more. The state, even though not in the situation to cope with otherwise necessary social welfare programs, still tries to improve the situation with some measures, but the outcome seems to be invisible. 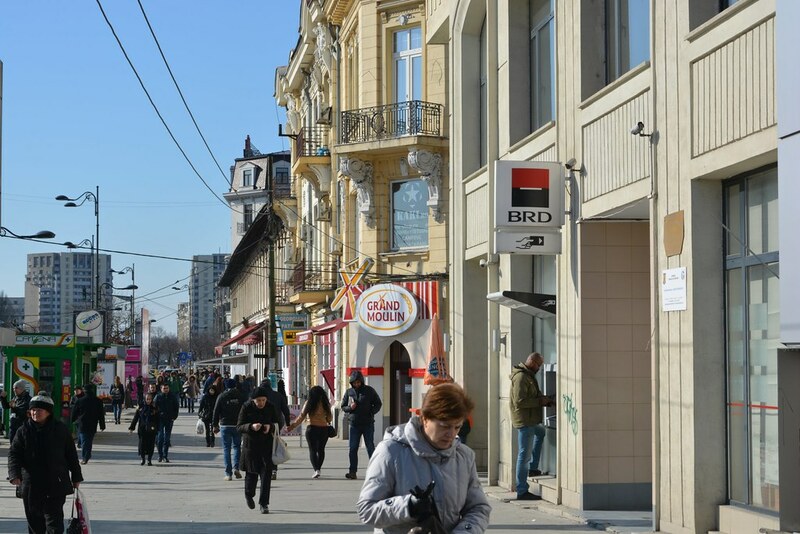 Many Romanians, that are otherwise very open-minded and engaged, seem to have abandoned the idea of Romanians and Gypsies co-existing peacefully in the same country. 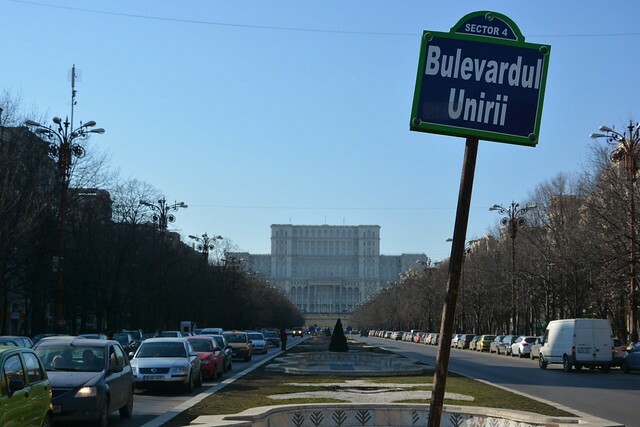 The culture seems to be too different and Romanians don’t want to pay unilaterally the bill. It’s a complex situation. However, independent of the origin, all people I met in Romania have been super friendly and well coming. It has been a nice trip and I recommend everyone to visit Romania. It won’t be my last time either.